P4Q USA, Inc. the world's largest supplier of solar tracking controllers is locating its North American headquarters and production facility to Albuquerque, NM, which will support its solar, lighting and train business divisions. 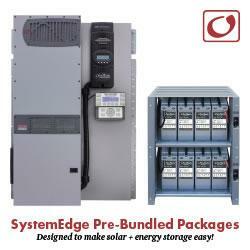 09/20/12, 09:51 AM | Solar & Wind | Apricus Inc. The facility will include a state-of-the-art surface mount technology assembly line that will make both products for P4Q USA and components for their clients on a contract basis. McCune Solar Works LLC., a McCune Works Inc. company, is in final stages of negotiations to assume operations of the Schott Solar facility in Albuquerque, NM. Dow Corning Corporation has entered into a memorandum of understanding (MOU) with LG Electronics and Seowon University relating to innovative photovoltaic (PV) systems using LG Electronics modules made with Dow Corning silicone encapsulation technology for installation on Seowon University's premises in South Korea. The 4th International Singapore Compact CSR Summit 2012 is back and themed around "Corporate Social Responsibility: Trends, Threats and Opportunities", taking place on 27th and 28th September 2012. ImagineSolar, a solar energy and smart grid training provider located in Austin, TX, is announcing a fast-track schedule for online and hands-on photovoltaic system training. Firestone Building Products today announced the launch of an exciting new website as a deep informational resource for its many customers and audiences.